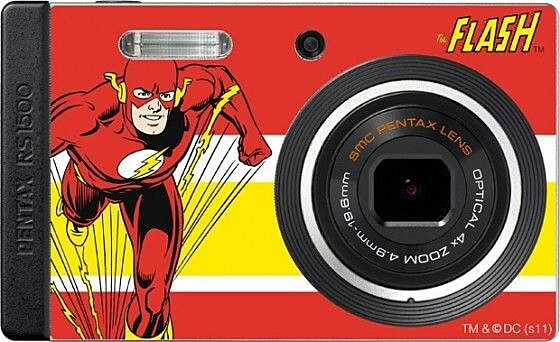 ComicsAlliance readers about to buy a new digital camera may wish to delay the purchase long enough to investigate the RS1500 from Pentax. 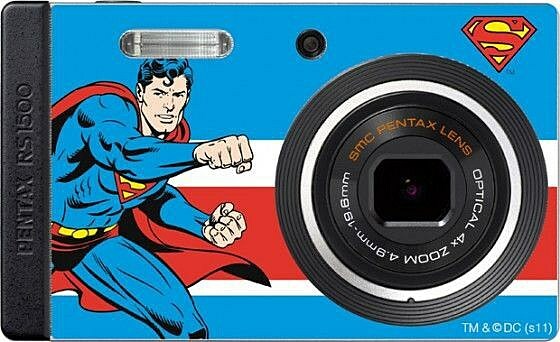 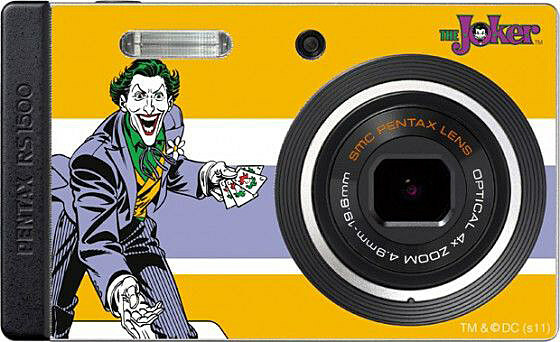 The camera manufacturer has teamed up with Warner Bros. Consumer Products to offer a limited edition of the compact device that comes with interchangeable skins based on DC Comics characters like Batman, Wonder Woman, Green Lantern, The Joker, Superman, The Flash and Catwoman.Featuring a 14 megapixel CCD sensor, 4x optical zoom, HD video recording (30 fps) and a 3" LCD screen, the DC Comics edition of the Pentax RS1500 will run you about $200. 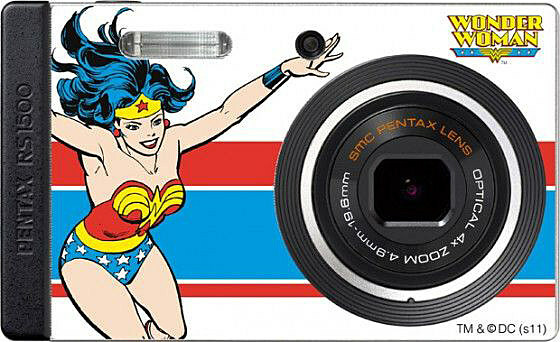 In addition to the superhero skins -- which depict very cool '70s versions of the DC characters and thus give the camera itself a kind of retro charm -- the camera comes with a Green Lantern-branded protective carrying case (seen above).